As you may know, it is absolutely vital that you keep the drivers on your computer updated to ensure that it continues to function perfectly. 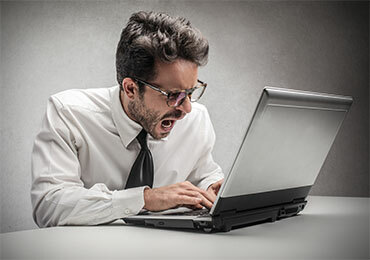 As you may know though, sometimes installing a new driver can end up causing more issues than it solves. It is therefore important to know how to get back the previous driver. This is what we are going to take a little look at on this page. 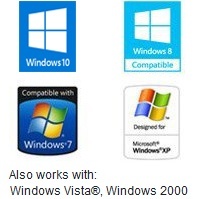 We will look at the four most popular Windows operating systems at the moment (XP, Vista and 7, 8) to start with. Each of them has the same process. Remember, you will only be able to roll back one (the operating system will only remember the last driver that was installed so do not keep installing drivers). Also, with Driver Turbo you can make a backup of all your drivers. In fact, automatic backups are created whenever you download a device driver using the driver software. This section should cater to most people as these operating systems are without a doubt the most popular in the world. The steps for rolling back a driver are fairly simple. If you find that there is no option to ‘roll back’ the driver to a previous version then Windows will not have a previously installed version. You are therefore going to need to come up with a different way to solve your problem. We would recommend Driver Turbo – at any given time you can easily create backups and safe time. Read through the dialog and continue to click yes to confirm. Your computer will then restart. When it has restarted your drivers will have been successfully rolled back. For the most part, the process of rolling back a driver in Windows 8 is exactly the same as the previous operating systems. Open up any ‘folder’ on your desktop. If you look to the left there will be an option called ‘computer’. Click that. At the top you will then see a link to open up the control panel. You can then click this. The second option involves opening up the metro interface. All you need to do is type in ‘control panel’ and click the link that appears. It is important to remember that you have the option to roll back drivers. Please note: If you take great care to install the correct drivers to begin with then it is highly unlikely that you will ever need to do this.